Maria van Buren, a beautiful high class prostitute, is found dead with a knife in her back in her houseboat on an Amsterdam canal. 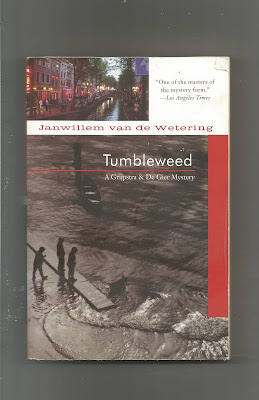 Grijpstra and der Gier must solve the murder. Her many clients all have sound alibi's. Before the murderer is caught the detectives and their commissaris will investigate allegations of black magic, travel to Curacao , and pursue clues to a chilly island off the coast of Holland. This is a delightful police procedural despite not being half as exciting at the above cover blurb makes it sound. The murder is solved by the two detectives plodding along doing nothing more glamorous than getting rained on during a Dutch winter. 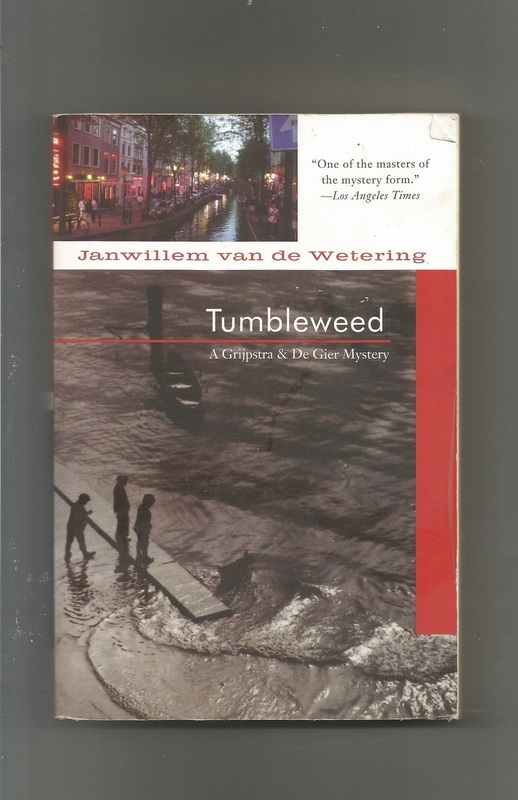 What makes this so enjoyable is the maudlin Dutch humour of our two lead investigators who snipe at each other like a long time married couple plus there is Oscar the cat who offers some more light relief. This is the first of this series I've read and the second published, I've never seen any of them in secondhand stores in New Zealand but this has inspired me to shell out and buy new copies online.